I was involved with horses at a fairly young age, then intermittently as a young adult until I settled in the experience in a dedicated way to pursue this true passion. I have always been involved with animals, whether training or caring for them. 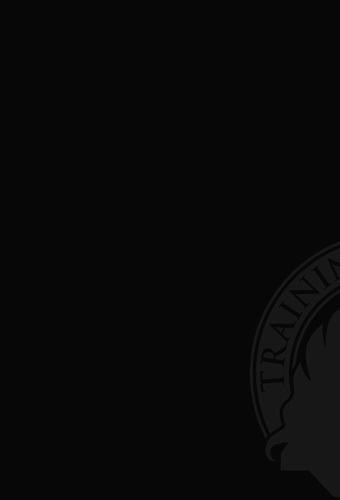 My work in the fitness field ended up facilitating getting involved back in to the horse experience. Needing some time away from our fitness facility, I found myself pretty much full-time in the horse business. 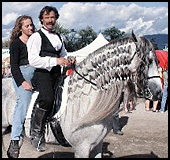 During these last 20+ years I have played with trotting horses and gaited horses. The Pasos we acquired lived up to their reputation of being the smoothest trail horses and very intelligent friends. I raised, trained, and showed them to multiple Championships with my ex in all available categories. Looking for more challenges, I became involved with Iberians that were prepared to win Championships, but soon I found the standard show classes very limiting in using the potential movements and relationships horses were capable of. The qualities of Spanish horses have enthralled me, particularly the Gymnast of horses - the Andalusian. This led me to Exhibitions because this allowed me to tap into the multitude of horse movements possible as well as a creative flair for entertainment. 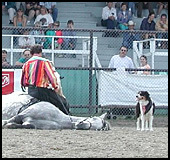 Exhibitions are an open format to demonstrate what horses can do! Since I was very young I had always been pushing the limits of what can or can’t be done, because really, is there any limits to creative ability? 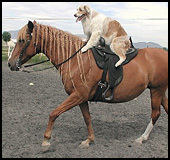 During all of these equine transitions in my history of training dogs and exotic animals I had initially developed a type of obedience training for horses. Later on I was excited to find that this approach was very much along the lines of some of the top natural horsemen that were touring North America. As for the Dufresne kids, Keegan, my oldest, soon lost his taste for horses and preferred other things like soccer and video games and is now in to the Culinary arts. The girls on the other hand had the bug big time. 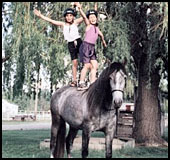 Although they also loved soccer (and now volleyball) they have managed to earn themselves some performance horses by doing barn chores for several years. 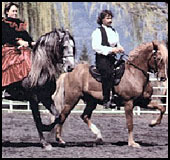 Both chose trotters over the gaited Pasos because they were more challenging to ride. No doubt they had been watching Mom and Dad. They are always striving for the creative solutions to anything. Lissandre and Acacia have been caught sleeping on their horses' backs sun tanning after a day of riding. Since then Lissandre has chosen to focus on volleyball, studies, and boys…not necessarily in that order - while Acacia dreams and rides her horse Rocket any and every chance she gets. Who knows she may be destined for an equine future. I think she is getting the itch to do exhibitions as she can’t stand me performing with her horse! I have been teaching people to train and relate to their own horses for years on a much less commercial route than most. My horse passion has brought me to teaching an interesting blend of Natural Horsemanship, Circensic Dressage (Classical Dressage/Trick Training), Reining (Vaquera/Western), and Liberty. If I can teach people to learn to understand how to communicate with their horses and lead them effectively we won't have such a turnover in horses and horse-owners as we see today. The key is to facilitate the journey by guiding them in as simple a manner as possible in a horse experience that will allow them to be a leader of their own personal flavor, exploring their creative ability with their horse partner.